I am not an engineer, nor am I an authority on building something or great in math (my field are languages). Are you? however, my comment to your posting, Rick is: Can you compare building a freeway and its cost with building a wall? This so-called border wall is not going to be continues barrier of stone and steel. There are rivers and other obstacles in between and when Trump talks about a wall he is also talking about virtual fences, more manpower and visual observation. Also, if anybody knows about building anything, that is Donald Trump. He has obviously demonstrated that plentiful. I am just tired of all the opposition on whatever Trump is wanting to do. There is truly enough from the liberal side, that calls themselves “the progressives”. They are not progressive, they are regressive and have become bunch of idiots. President Trump has so far done great things and I am certain that come November, polls and the midterm election will show us, who is coming out shining. I cannot for the life of me think that it would be the Democrats, who have shown nothing but dismay and mostly in spite of Trump. 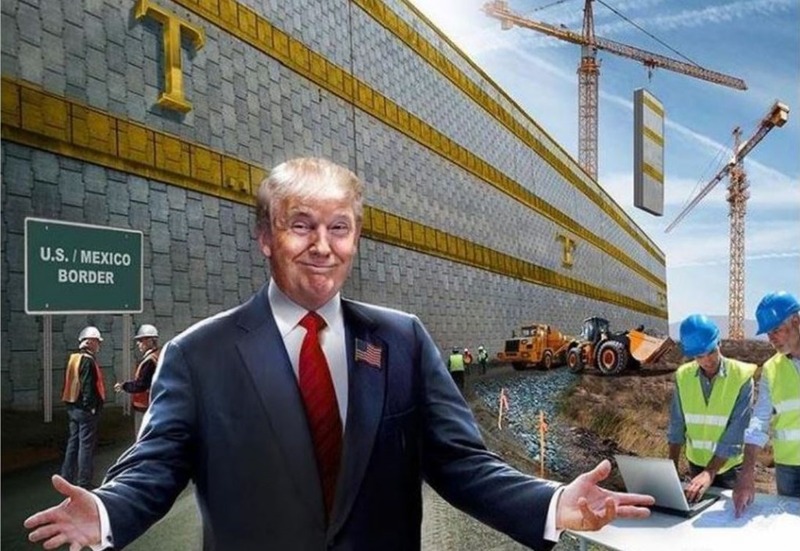 So whether or not the Wall can be build with 25 billion dollars, I am willing to wait and see what happens. Sigrid, Thanks for your comment. I have greatly expanded my original post with new, important info as a result of your comment here and other comments on Facebook. Please reread my WordPress post above. I hope it will address your concerns. I welcome your continued comments to help shape this very important subject about the future of U.S. Immigration law. Sincere appreciation for the reblog. I have greatly expanded my original post with new, important info as a result of your comment here and other comments on Facebook. Your new readers will pick up on the additions and changes when the click my post. I hope it will address your concerns. I welcome your continued comments on my blog to help shape this very important subject about the future of U.S. Immigration law. I have greatly expanded my original post with new, important info as a result of comments here and on Facebook. Please reread my WordPress post above. I welcome your comments to help shape this very important subject about the future of U.S. Immigration law. Hi June, thanks for your comment.